WHO: The Birmingham Public Library, Instagram Birmingham, The Literacy Council, and REV Birmingham will celebrate World Literacy Day, September 8, by encouraging people to take selfies in cool places to read in Birmingham. WHAT: World Literacy Day's aim is to highlight the importance of literacy. 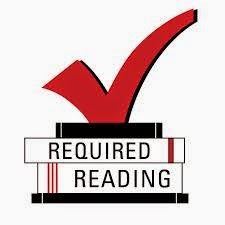 About 776 million adults lack minimum literacy skills, according to the United Nations Educational, Scientific and Cultural Organization. Also, one in five adults is still not literate and two-thirds of them are women. However, there are about 4 billion literate people in the world, according to UNESCO. WHERE TO POST PICS: People may take photos of themselves at the library, their favorite coffee shop, the park, etc. Then, they should share the images on Facebook, Instagram, and Twitter. People may also send images to TLC@literacy-council.org so that the Literacy Council may share the images on social media. For more information contact: Missy Burchart, The Literacy Council, 205-326-1925, mburchart@literacy-council.org. Enjoy the perfect blend of free beer samples and a night of poetry during the Birmingham Public Library's monthly Bards and Brews, Friday, September 5, at Ruffner Mountain Nature Center, 6:30 - 9:00 p.m. Live music by Susan Lawrence; beer provided by Blue Pants Brewery. Light snacks will also be served. Open Mic Night poet registration and music starts at 6:30 pm., and poetry performances start at 7:00 pm. Attendees must be 18 years or older to be admitted, and 21 years or older to be served. IDs will be checked. Bards & Brews has its own Facebook page which features a wealth of information about the event. This program is made possible by grants from the Alabama State Council on the Arts and the National Endowment for the Arts. 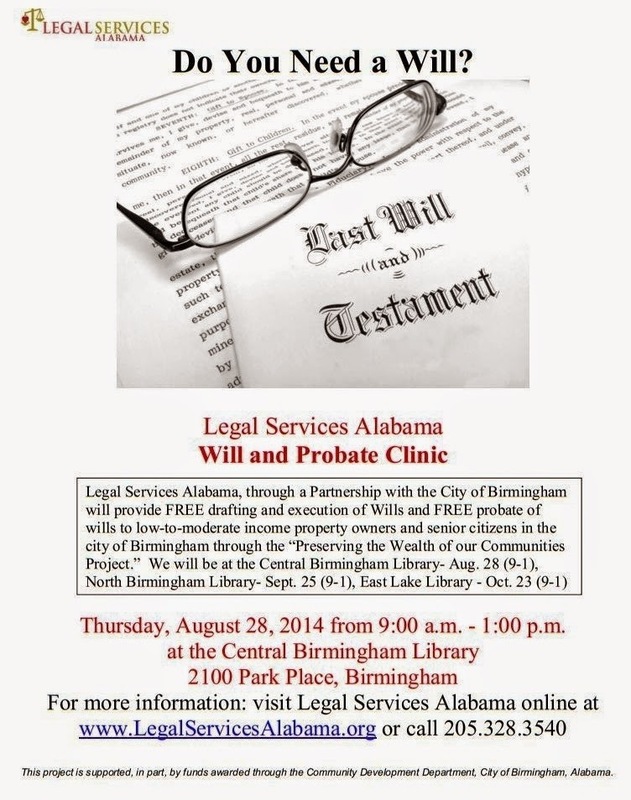 Legal Services Alabama, a nonprofit law firm in Birmingham, will prepare wills at three Birmingham Public Libraries in the coming months. To qualify for a free will, a person must be a Birmingham resident and must fall into one of the required income areas: under $34,200 for a single person; $39,050 or less for a family of two; $43,950 or less for a family of three; or $48,800 or less for a family of four. For those unable to meet the income requirements but are over 60 years old, the law firm may still be able to help. "Basically, we think everybody should have a will. If you have parents or kids, you should have a will,'' said Dru Clark, an attorney with Legal Services Alabama. Those also in need of a will should be anyone: owning a home, with a bank account, with elderly parents, with dependents with special needs, or without close relatives but interested in leaving items to a friend. Those needing help with what to do with a loved one's estate may also seek help during the clinics. The service is part of “Preserving the Wealth of Our Communities Project (PWOCP),” which is made possible because of Birmingham Mayor William Bell's RISE initiative. The RISE initiative is an effort to strengthen neighborhoods, eliminate blight, and increase property values. The program is also for low-to-moderate income property owners and senior citizens of Birmingham. For more information, call Dru Clark at 205-328-3540, ext. 3508. And, oh yes, a huge white horse with dreams of heavenly apotheosis is one of the major characters, but this is no animal fable. We come to know thieves and newspapermen, mayors and mechanics, beautiful maidens and consumptive waifs. 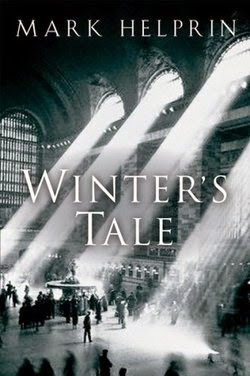 Winter’s Tale is still mentioned as one of the best novels of the past 30 years. The patient reader will be rewarded with vivid scenes that will linger long in the mind’s eye. Winter’s Tale has been loosely translated into a recent film which is truer to the book’s imagery than to its plot and is worth viewing in that respect. Winter’s Tale—nothing short of amazing. Through the month of September, all public libraries in Jefferson County will be participating in a food drive that helps support local charities by replenishing food pantries in anticipation of the coming holidays. $1.00 in fines will be waived for each food item donated in September for up to $10.00 per library card holder. The donations will go toward fines only, not lost/damaged materials. The drive is open to all who wish to participate. When and where can donations be made? Donations will be accepted at all 40 Jefferson County public libraries circulation desks during September 2014. Here is a list of acceptable/unacceptable canned and boxed food items. Food for Fines is held in conjunction with the annual National Library Card Sign-up Month. In September, cardholders can also trade in their old card for a keychain card or receive a replacement for a worn out card without paying the usual $3.00 fee. It is getting close to the final summer road trip and sometimes it is hard to find audiobooks of interest to a carload of family members. Over the summer, I listened to two action adventure audiobooks that might keep your family awake and interested in “what comes next.” Fans of Harry Potter and the Percy Jackson books could enjoy Gregor the Overlander and The Paladin Prophecy. 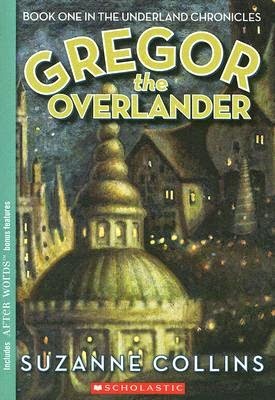 Gregor the Overlander by Suzanne Collins is the first volume in the Underland Chronicles. This is the same Suzanne Collins of The Hunger Games fame. Gregor is a scrappy teen who has to forfeit summer camp to take care of his 2-year old sister, Boots, while his mother is at work. A few years earlier, their father disappeared causing the family to fall on hard times. Boots accidentally slips down a hole behind a loose grate in the laundry room. Gregor follows her into a strange world beneath New York City. The Underland was founded centuries ago by a disillusioned Englishman who thought he could create a better world somewhere else. His descendants have the same problems as humans living above ground. As part of the fantasy world, the Underland is populated by oversized Rats, Roaches, Bats and other assorted creatures who all speak English and do not like humans very much. I would not like any group who descended into my realm and stole my land. Gregor and Boots discover that their father fell into the Underland and is being held hostage by the Rats. Gregor is told by the humans that he is a warrior who was sent to fulfill a series of prophecies. Members of the Underland plus two cockroach friends set off to solve a mystery and free Gregor’s father. Despite the huge cockroaches who are devoted to Boots, the story is quite interesting. The author intersperses triumphs and trials in just the right intervals to keep the story moving. The first volume is family friendly and good for ages 11 to adult. 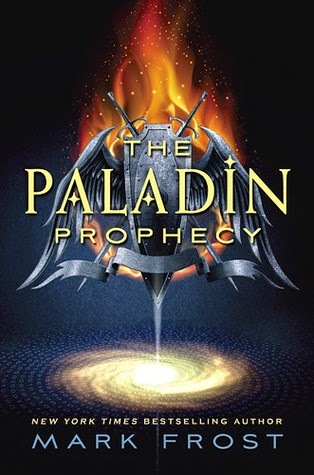 The Paladin Prophecy by Mark Frost is an extremely fast-paced narrative with dueling fantasy beings and lots of gadgets. Mark Frost is a longtime television writer known for Hill Street Blues, The Six Million Dollar Man, and Twin Peaks. As I listened to the audio I could visualize all the action. This book was written like a movie. Will West appears to be a regular teenager, but he has a secret. Will constantly has to keep his physical and mental abilities hidden. He cannot afford to be the star of the track team or a whiz kid at school. Will and his parents move around a lot making Will a loner. One day Will is almost kidnapped but rescued by a monster angelic creature driving the ultimate sports car. Will’s parents are kidnapped in his place and he is sent to a high school for teens with untapped super powers. At the school there are weird happenings and a mystery Will and his new friends must solve. If you like a fast moving reads, you will enjoy this audio. The plot zips by with enough mystery and science fiction elements to keep older teen through adults entertained. It’s so hot outside that it's hard to believe fall is right around the corner. You know what that means. FOOTBALL!!! Yay!!!!! Last season, Auburn represented the SEC in the BCS National Championship Game, but they were unable to knock off the Florida State Seminoles. A championship trophy outside the SEC is like a day without sunshine. It happens from time to time, but we really don’t like it. It’s time to return the trophy to its rightful conference. This season, for the first time in history, there will be a playoff to determine the national champion. Four teams enter, one team leaves. The semifinal games will be played on January 1, 2015 in two different locations. One semifinal will take place at the Allstate Sugar Bowl in New Orleans, LA. The other semifinal will be played at the Rose Bowl in Pasadena, CA. The winners will meet at Cowboys Stadium in Arlington, TX on January 12th. 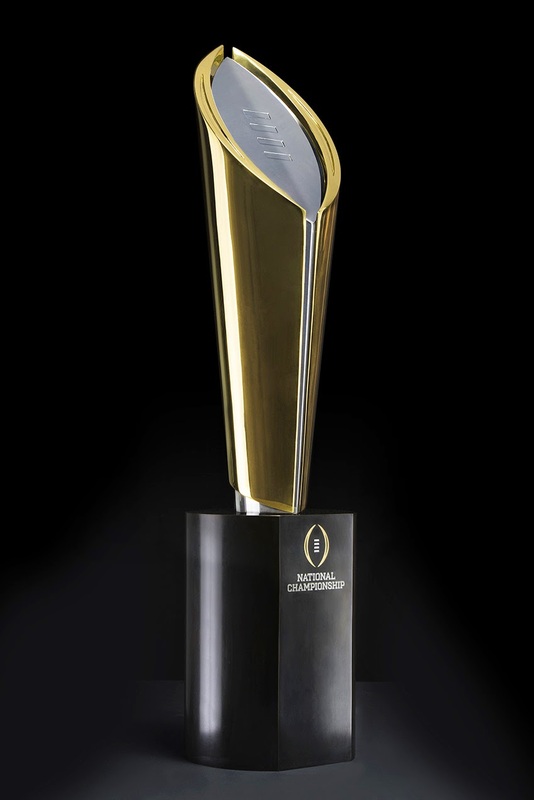 After the game, the winning SEC team will hoist the first College Football Playoff National Championship Trophy. Hopefully, the playoff system will curtail some of the whining from undefeated teams in weaker conferences who have been unable to participate in past championship games. If your team is that good, prove it in the playoffs! The college football season kicks off with nearly a full week of games from Wednesday, August 27 through Monday, September 1st. I’m excited about the season and can’t wait to see who competes in the first College Football Playoff. Grab your snacks, text your friends, and get the grill ready because college football is back. Getting up early in the morning can be an intense challenge. By the time you get settled and snugged, it seems like it’s time to get up again. However, after assessing the worth of getting up early, the benefits far outweigh the sacrifices. Just picture the things that can be accomplished while the world is still. You can start working on the blog you’ve always wanted to start; finish reading the book you’ve wanted to finish since forever; start an exercise regimen; meditate; and the list goes on. While many of us have good intentions to maximize the time in our days, we must make a conscious commitment and turn those good intentions into a reality even if it causes a temporary discomfort. The beginning of change in anything can be a challenge, but can be well worth it in the long-term. It is often stated that breaking an old habit and developing a new one for this matter takes an average of 30 days. Are you willing to commit 30 days to make a lifetime change? To find out how to wake up early, read "The Most Successful Techniques for Rising Early," by Leo Babauta, which can be accessed at http://zenhabits.net/early/. He addresses everything from how to get up early to solutions to common complaints we tend to have for not getting up early. Happy Rising! Do you know what a kaiju is? I didn’t until recently but the literary market for them is exploding. kaiju are the next big science fiction/fantasy trend. We’ve had superheroes, space adventurers, and werewolves. Also, for the past few years, we’ve been up to our armpits in vampires. Now come the days of “kaiju.” Whether you know it or not, everyone knows, at least, one kaiju. If you’re familiar with Godzilla, then you know a kaiju. However, these are not your father’s kaiju. Kaiju is defined as a Japanese word that literally translates to "strange beast." The word has been translated and defined in English as "monster" and is used to refer to a genre. Kaiju films usually showcase monsters of any form, usually attacking a major Japanese city or engaging another (or multiple) monsters in battle. With the success of the movie Pacific Rim, we are being put on notice that they are here to stay. Pacific Rim already has a sequel, or rather a prequel in the works. There is some excellent kaiju fiction coming on the market. There are also more movies in the pipeline. So if you’re ready to move on from the Twilight crowd, check out some of these books and join us as we usher in the next big trend: kaiju. When I was a kid in the Sixties, my dad had a copy of a book called Monkey Planet on his bookshelf. I was intrigued by the title. I was old enough to realize it was a made-up story but I knew almost nothing about it. Many years later it was made into the movie Planet of the Apes (1968), which referenced the more-common name of the novel. I liked the movie and have seen it several times over the years. Some (well, more than some) of it is silly, dated, and embarrassing, but it still tells a great action story, and the soundtrack is astonishing. Recently, I read that the novel is more serious than the movie. That caught my attention, so I started reading it and discovered that the serious bit is only one of many differences between the book and film. And its seriousness is tripped up by flaws anyway. Two aliens discover a message in a bottle. It’s the story of an Earthman, Ulysse Merou, who travels to Soror, the titular Planet of the Apes. The apes-not monkeys learn French (Boulle was French) from Merou, who in turn learns the simian language. Soror isn’t Earth, but it is Earthlike, sometimes clumsily so—did the ape annals really have to have Impressionists? The apes are the dominant species, and they have our human level of intelligence and the native humans run wild as beasts when they’re not being experimented on by the apes. Boulle isn’t a great (or even a very good) stylist, but he tells a corker of a story and handles the social, religious, scientific, and philosophical aspects of Soror in a mostly entrancing way. He means to make the reader uncomfortable, too, and the way the apes treat humans will at least make you look at PETA in a new way. The apes tell Merou that their races (chimpanzees, gorillas and orangutans) are equal but our narrator quickly cottons onto the face-saving nature of the claim. The apes’ textbooks state that the planet Soror is the center of the universe, though the educated have long since discarded this belief (I couldn’t help but think of the evolution-averse statement inserted into Alabama state textbooks and what an embarrassment that is to the equivalent here.) There are many funhouse parallels in Planet of the Apes and they are enjoyable when they aren’t disturbing, which is to say that they’re usually intriguing. At his best, Boulle is in the Swiftian line, and he can be merciless. On another front, the early-Sixties (1963) nature of the book is doubly odd. The apes have just put up satellites, and a man, into space. They see all non-ape creatures as incapable of thought, the way almost all Earth scientists saw animals back then. (One of the questions the book raises is, What is an animal, anyway?) Subplots with rich sexual potential end up chaste after all—and the author was French! There are none of the humanlike bonobos, which science knew little of at the time of the novel. In some ways, the book’s future is our past. So check out this book already. The misfires don’t ultimately matter too much and the hits are deep and wide. It’s a compelling read with a considerable ironic underbelly. While reading, you never quite forget the precariousness of man on Soror or Earth, or man as narrator or beast. As for my dad? I never read that, he told me the other day. Hardly an hour goes by without one of my patrons saying, “I’m looking for a job online but I’m not sure where to go,” or “How do I fill out this online job application?” or “How do I attach my resume to this online job application?” Having been hired recently as the new branch head at East Lake Library, I can certainly identify with those who are navigating the online job search tools and figuring out what is required to apply for a job online. I tell my patrons that Birmingham Public Library is a good place to start when looking for a job. The BPL website has a guide specifically for Job Searching. From there you can access local and national job listings like Alabama Joblink, Best Local Jobs which is powered by al.com, or CareerBuilder.com, Simply Hired, or SnagAJob. If you want reliable, current career information from the Bureau of Labor Statistics, check out the Occupational Outlook Handbook. If you are about to apply for a job but need help with your resume, try Creating Resumes which provides information about the various types of resumes and tips on what to include and leave out. If you need to access to tools to help you keep the new job or get that promotion, try Learning Express Library which offers test preparation assistance, and tools for helping to improve your reading, writing, and math skills. And don’t forget the Regional Library Computer Center which offers free computer classes. Whichever library you visit as you begin your job search, you can count on friendly staff to help you access the print and online resources you need. According to the Centers for Disease Control and Prevention (CDC), 1.9 million adults in the United States are diagnosed with diabetes every year. The disease affects more than 8% of the United States population, and that number is growing. It’s also the seventh leading cause of death—but it doesn't have to be a death sentence. The doctor’s report indicates you have diabetes, your mind is inundated with questions: Why Me? What am I going to do? What life changes do I need to make? Take the 90 Day Diabetes Challenge to jumpstart a healthier diet and exercise routine to combat diabetes. Here are some resources to help you get started. School is back in session and students are looking for copies of books for their required reading assignments. We are called to check our shelves for such classics as The Outsiders, Animal Farm, and The Giver. Fortunately, many of these titles are now available as free e-books. Just Google the title and "e-book" to see if the book you're looking for is online. Birmingham Public Library has e-book and audio book versions as well. You can find them by checking the catalog for the online version or at downloadable e-books and audio books on the BPL website. The website Goodreads has a list of 100 classics for teens. I checked the top ten and found ebooks for all but I Know Why the Caged Bird Sings and Ender's Game. I've linked the library epub versions for those titles. Dreamland Bar-B-Que and the Birmingham Public Library invite K-8 classrooms to put on their chef hats and create a kid-friendly Dreamland recipe. One winning classroom will be treated to a Dreamland classroom party for submitting the most creative and delicious recipe. The Jr. Pitmasters Cookbook Recipe Contest is open to all K-8 classes and homeschool programs within Jefferson County. The contest is part of the Birmingham Public Library’s Eat Drink Read Write Festival, set for October 3-10, 2014. Each classroom may submit one or more recipes using Dreamland Bar-B-Que Sauce, Dipping Sauce, Seasoning Shake, and/or Rub. These items are available for purchase at Dreamland Bar-B-Que restaurants, local grocers, and online at www.dreamlandbbq.com. The recipes can be for appetizers, main courses, side dishes, or desserts. The recipes should be easy to make for kids. Along with the recipe contest, all children in grades K-8 are invited to submit their own original works of art to be considered for the cookbook cover and inside illustrations. One piece of art will be selected as the cover for the Jr. Pitmasters Cookbook. Works may feature Dreamland Bar-B-Que or The City of Birmingham. The grand prize for the art contest is a $100 Dreamland gift card. Parents and children may submit art for consideration at the Central Library's Youth Department, second floor. The deadline is also September 17. Winners will be honored during a family-friendly reception at the Central Library on October 6, 2014, 6:00-7:00 p.m.
For more information about the contest or the Eat Drink Read Write Festival, visit Dreamland Bar-B-Que on Facebook or www.bplonline.org/eatdrinkfest. Release your inner poet and attend a free haiku workshop on Saturday, August 23, from 1:00 to 3:00 p.m. at the Central Library. Terri L. French, the Southeast region coordinator for the Haiku Society of America, will lead the session. French's 2010 book of haiku, A Ladybug on My Words, was illustrated by her son. She lives in Huntsville, Alabama. The event is ideal for teens and adults. For more information call 226-3670. Sanspointe Dance Company will present "Creative Catalog," dances inspired by library experiences, on Wednesday, September 24, at 5:00 p.m. in the atrium of the Central Library. Admission is free. From dances that embrace everything from research and the Dewey Decimal system to the energy, imagination and fun found in children's books, the show will celebrate what libraries do for the community and for the imagination. The company’s 30-minute performance will be comprised of four dances with seven dancers and narration. 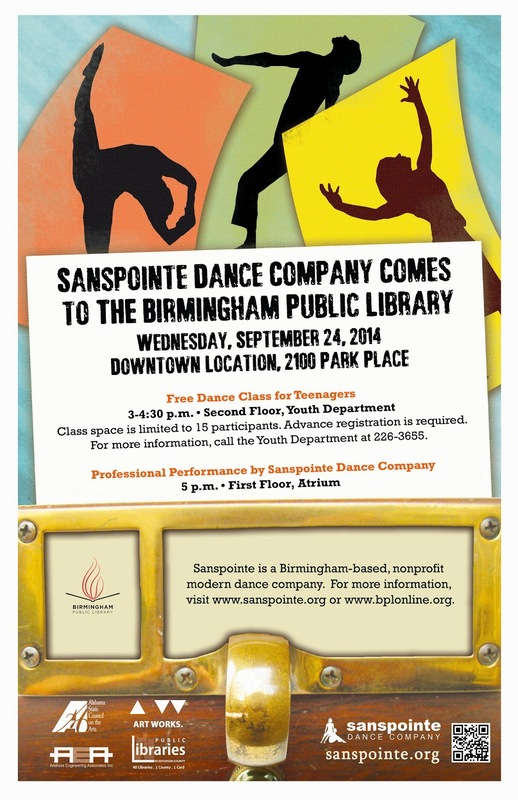 Sanspointe has performed at the Birmingham Public Library and other libraries in the past. New this year will be a free Master Class for teenagers from 3:00 to 4:30 p.m. on September 24. It will be held in the library's second-floor Story Castle. The introductory, contemporary dance class will blend children's favorite library books with works of dance art. It is ideal for ages 12 to 17. Class space is limited to 15 participants. Advance registration may be made at the Central Library's Youth Department. The class is free. Call the Youth Department at 226-3655 for more information. For more information on Sanspointe, a Birmingham-based, nonprofit modern dance company, visit www.sanspointe.org. For more information on library programs, visit www.bplonline.org. When working with Excel 2010, there are options to assist the user in creating a spreadsheet. Templates not only save time but provide a basis to customize a spreadsheet according to the user’s needs and wants. Many times, these templates are already designed with formats and formulas that are included into the spreadsheet. Click the File tab. This will take you to the “Backstage” view. Once there, select New. You will see templates. A preview of the selected template appears on the right. Select the template of your choice and click Download or Create, and customize according to your needs. Excel 2010 will be the featured program in September, offering a class on home budgets using templates. Registration is now open for staff and the public for the September 2014 Regional Library Computer Center classes. All classes are held in the Regional Library Computer Center (RLCC) of the Central (downtown) Library. PRE-REGISTRATION IS REQUIRED FOR ALL CLASSES. Complete name, address and phone information. PLEASE PRINT. Place a check mark in the check box next to the class(es) you would like to attend. Return the entire form to a staff person in the Public Computer Services department. You may also send an email to cenrtc@bham.lib.al.us or use the online form to register. Crime novels are an exceptionally popular genre in the publishing world. James Patterson, Janet Evanovich, and Alexander McCall-Smith are authors that often work in this genre that nearly everyone has heard of and all of whom have an enormous following among readers around the world. One of my favorite crime novelists is Elmore Leonard and when I discover an author whose work I really enjoy, I like to seek out the authors and books they found to be influential. On occasion, this search may lead down the rabbit hole and open up a literary world that I never knew existed. This was certainly the case when searching for Elmore Leonard’s literary forefathers. I was led to an author by the name of Charles Willeford with the quote below. 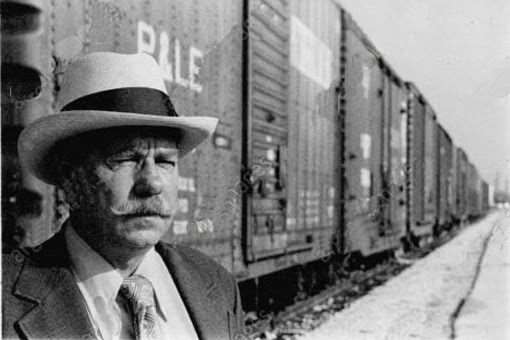 Charles Ray Willeford was a teenaged hobo during the Great Depression, a tank commander in World War II, a professional boxer, a painter, a horse trainer, a poet, an English professor, a book critic for the Miami Herald and one of the most twisted and acerbic crime writers to ever put pen to paper. Willeford’s first book of poetry Proletarian Laughter was published in 1948 and he went on to write several lurid (yet literary) pulp novels in the crime genre in the fifties with titles such as Wild Wives, The Woman Chaser, and High Priest of California. 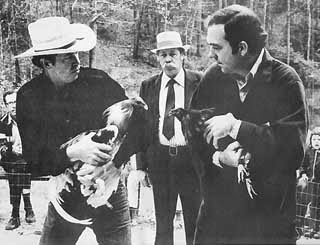 By the sixties, Willeford was churning out dark masterpieces such as The Burnt Orange Heresy and Cockfighter -- a book about man with an unhealthy obsession with the underground sport of fighting roosters that was later made into a film produced by Roger Corman and starring Warren Oates. By the eighties, Willeford had settled in Miami and the outrageous violence of the booming cocaine black market and the massive immigration of Haitians and Cubans provided ample fodder for Willeford’s creative writing process and the author created his most successful books -- a series of novels about a Miami police detective named Hoke Moseley. Miami Police Detective Hoke Moseley is not your usual crime novel protagonist-- by a long shot. Mosely was born for hard luck. He is a single father, middle-aged, and wears dentures (which are promptly stolen in Miami Blues - the first book in the series). Mosley is constantly broke due to his low pay, teenage daughters, and crippling alimony payments to his ex-wife. He is not well liked on the police force and criminal psychopaths seem to be drawn within his orbit on a regular basis. He is a competent police detective though he generally makes a break in a case only after bending the rules -- usually quite far. On second thought, the above description does sound like the hard boiled protagonists of most crime novels. The main difference between Hoke Moseley and any other crime novel detective is that Charles Willeford is running the darkly comic show here. Willeford’s villains are not arch criminals nor are they evil geniuses. They are desperate characters that are broke and busted and seeking the path of least resistance. Hoke Moseley is not much different from the villains in this regard; however, Moseley does adhere to his own moral code, twisted though it may be. Several of Charles Willeford's books are available through the library. I would recommend starting with his semi-mainstream Moseley series (Miami Blues, New Hope for the Dead, Sideswipe, and The Way We Die Now) before tackling some of his darker tomes such as The Black Mass of Brother Springer or The Machine in Ward Eleven. If you do check out any of these books, let me know what you think. Now that “back to school” is in full swing, this might be a good time to introduce your children to a new subject: their own family. 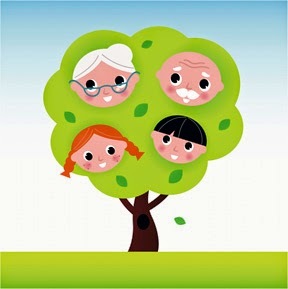 Genealogy is a great way for families to spend time together and can be a particularly special way for children to bond with their older relatives. It also provides opportunities to teach important research skills and to impart a love of history in children at an early age. Starting a genealogy project with your children can be as simple as writing down the names of their parents and grandparents, along with their places of birth and other important dates. Fill out a genealogy chart together to see how much you already know and to get an idea of where you need to look next. If your child has older relatives nearby, have him or her conduct an “interview” in which he asks about their life. Hearing how their grandparents studied, worked, and had fun will make history personal for them. By taking information about their family and piecing it together, children of all ages are gaining valuable research skills. Not all families are easy to track down and doing so requires using many different sources (both print and online). Learning to use and evaluate the information they find will serve them well as they progress in their education. Many people find that genealogy makes them feel more connected to the places their ancestors lived and to history. Putting our ancestors into their historical context helps us to understand them and turns them into real people rather than just names and dates. Wanting to know more about their family naturally leads children (and adults) to the study of the towns, states, and countries their ancestors came from. For more information about starting a family genealogy project, visit our new Genealogy for Kids subject guide. It includes links to books, websites, craft projects, and charts. You can also visit the Library’s Southern History Department for free classes and help anytime you need it. In 1991 as a young librarian, I ordered a new book by a new author, Diana Gabaldon. The blurb said it was historical fiction and it looked intriguing. I thought my patrons would like it; I thought I would like it. It seemed like a good fit for my little library. Twenty-three years and eight major books later, the Outlander series has come to television. This series has something for everyone: a great love story, time travel, history, Scottish rebellion against the English, war, colonization of the new world, Native Americans, and the hardships of living in the 17th century. The research, especially in the medical history, is extremely well done. Gabaldon is still working on the series and has also written numerous novellas about minor character in the Outlander series. The first year of the television series will cover the first book in the series. I hope it has a long run. The Internet is a wonderful tool, but it bears remembering that there are no laws, rules, or regulations to ensure that what someone puts up has to be true, accurate, current, or trustworthy. This is why so many librarians take exception to sites like Wikipedia: it’s content driven, which means anyone can post anything on it. Yes, wildly inaccurate things will probably be caught and corrected, but why take the chance? With your access to the databases available to you free with your library membership, you are guaranteed the very best information available. Just go to the BPL homepage and click on the Databases link, then use the subject guide on the left of the page to be shown the correct databases to view. 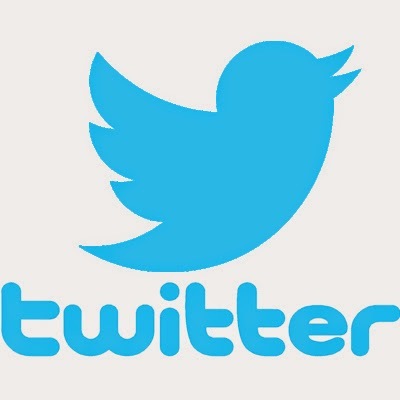 Most of these can be viewed from any Internet connection, but some are licensed only for use in a library. The best thing is that you know if you linked to it through BPL’s website, the information is good. Since most of these links are to subscription databases, they are free to library members. So take advantage of your membership to look up current events, prepare for exams (like the ASVAB, ACT, SAT, and many occupational or school entrance exams), get information on medical issues, and even access the Chilton automotive guides to repair or maintain your automobile. There are dozens of resources listed under Quick Database Links, and they’re FREE, accurate, and current. What more could you want? 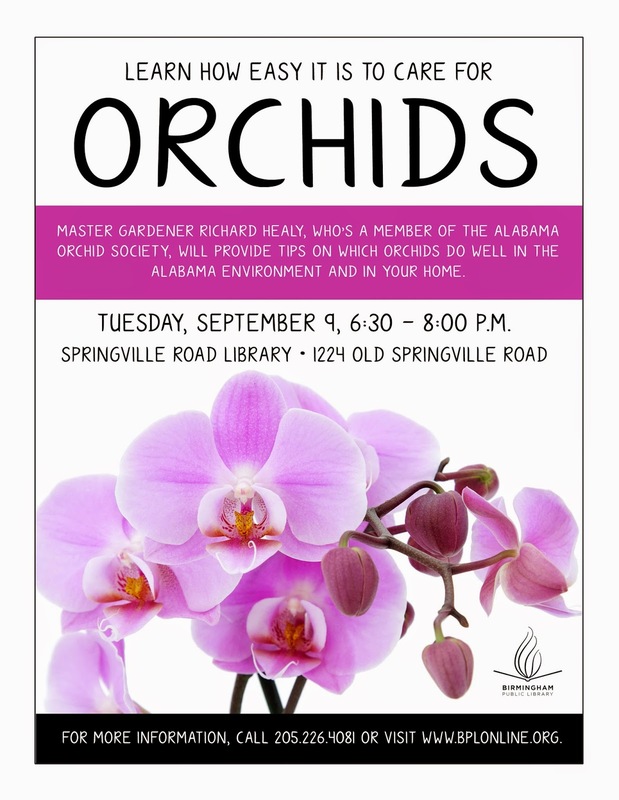 Master Gardener Richard Healy will lead a free workshop on how to care for orchids on Tuesday, September 9, 6:30 p.m., at the Springville Road Library. There are more 2,000 orchid species, including several that thrive in Alabama climate and in the home. Healy, who has about 80 orchids in his own greenhouse, will give tips on which orchids do well in this area. He’ll also have orchids on display. For more information, contact the library at 226-4081. Also, check out the Alabama Orchid Society’s Facebook page and the Alabama Orchid Society’s 30th Annual Orchid Show and Sale on September 19-21 at the Birmingham Botanical Gardens. Free to the show and sale. 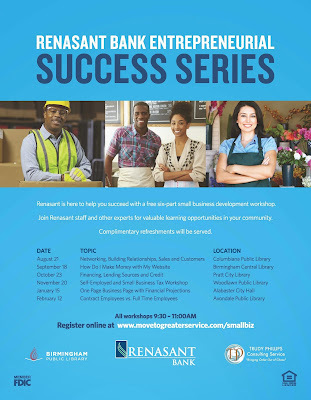 Renasant Bank is reaching out to help small businesses succeed with a free six-part entrepreneurial success series. Series topics include Financial Management, Networking and Relationship Building, Social Media, Tax Information, Business Plan Components, Human Resources and Access to Capital. 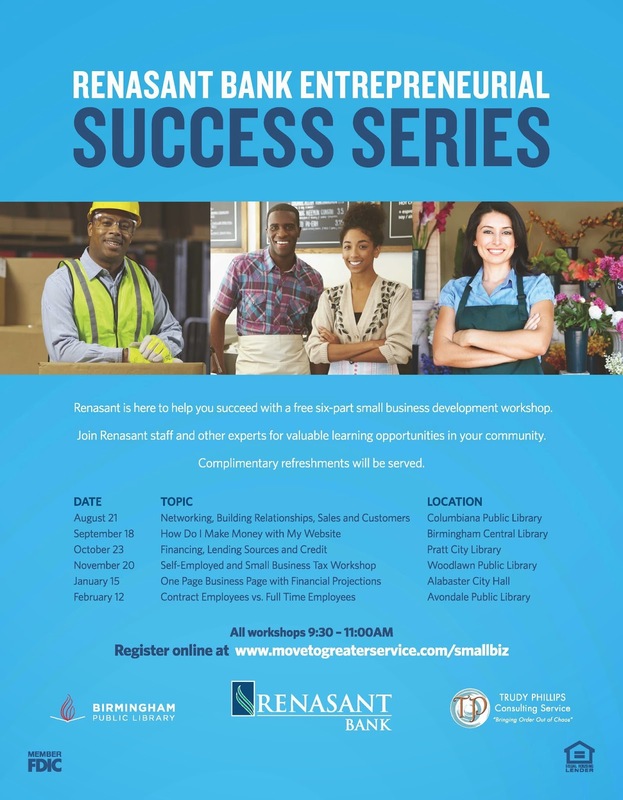 Renasant staff and local experts are leading these valuable learning sessions throughout the Birmingham and Shelby County communities. The event is co-sponsored by the Birmingham Public Library System and Trudy Phillips Consulting. Complementary refreshments will be served. Playing with your baby is not only important for bonding but it is also an educational experience for your child. We are providing a special time and place for you to come to the public library and spend one-on-one time playing with your child. 1-2-3 Play with Me, a five week program, is for children birth through age 3 and their parents/caregivers. We will have toys, books, and art activities just for you and your child. Also, we have invited special guests from the community to join us each week to answer your questions about parenting. Remember—you are your child’s first teacher. 1-2-3 Play with Me is an opportunity for you and your child to play and learn together. Visit Birmingham365 for the 1-2-3 Play with Me schedule for these Birmingham Public Library locations: Avondale, Central, Five Points West, Pratt City, and Springville Road. Avondale Branch Library – September 10-October 8 – every Wednesday at 10:00 a.m.
Central Library – October 14-November 18 – every Tuesday (except November 11) at 10:00 a.m.
Five Points West Library – September 9-October 7 – every Tuesday at 10:00 a.m.
Pratt City Library – October 15-November 12 – every Wednesday at 10:00 a.m.
Springville Road Library – October 9-November 13– every Thursday (except October 16) at 10:00 a.m. The Birmingham Public Library: Family Place Library is funded in part by a Community Project Grant from the Junior League of Birmingham in the impact area of education. Forty years ago, Richard Nixon became the first, and thus far only, U.S. President to resign from office. His downfall was brought about by the June 1972 Watergate burglary and the subsequent cover-up of the crime orchestrated by the White House. Over the course of those two plus years between the burglary and his resignation, Mr. Nixon did not quietly accept his fate. Using all the political and legal means at his disposal, he fought the efforts of a variety of federal government entities that were trying to get the bottom of the scandal, including the U.S. Supreme Court, the U.S. Senate, the U.S. House of Representatives, the U.S. District of Court of the District of Columbia, and a Special Prosecutor. In the end, however, his fate was sealed by evidence that the President himself was responsible for creating and maintaining: audio tapes that had been recorded using a taping system that he authorized to be installed in the White House’s Oval Office. What these tapes revealed was an ongoing, concerted effort by the President and his staff to obstruct the criminal investigation of the Watergate break-in. Once the most damaging of these tapes were made public in late July of 1974, Nixon was left with only two alternatives: either resign or face impeachment. The Birmingham Public Library offers a wealth of resources for anyone wanting to learn more about the personalities and issues surrounding the Watergate affair. Numerous books, DVDs, and audios are available on both Watergate and the life and presidency of Richard Nixon. The library’s Government Documents Department houses Nixon’s public presidential papers, as well as the congressional hearings that were held in relation to Watergate in the U.S. House of Representatives and the U.S. Senate. Interested patrons may also want to consult the website of the Mary Ferrell Foundation which has a very well organized collection of material on Watergate that includes full text copies of the congressional hearings, the Report of the Watergate Special Prosecution Force, and transcriptions of all of the White House tapes deemed relevant to the Watergate affair. As I was wandering around a farmer’s market in early April, I came across a table of crocheted items and decided to stop and take a look. I’d always been fascinated with needle crafts and had (briefly) attempted to knit a few years ago, which resulted in a few hastily made scarves and sore wrists. As I struck up a conversation with the lady selling her items, she revealed that she began crocheting as a form of stress relief many years ago. She had a fast paced job and learned to crochet as a way to distress after a long day of work. Her hobby had now turned into a side business which she thoroughly enjoyed. I asked her how she got started, thinking that she took several months or years of in-depth classes from some strict professional crocheter. She had a simple answer: books from the library. With these resources at your disposal, you can learn the basics of crochet. Once you have the basics, you open up a whole new world of different stitches and project types. Always wanted to make homemade holiday ornaments? No problem! Want to make a baby blanket for your co-worker that’s expecting? Piece of cake! Need something entertaining to take with you on those long summer car trips? Bingo! The possibilities are endless when you take the time to learn a new craft. You Want to Buy What?! World Book eBooks Now @ BPL!